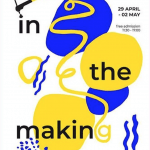 The Illustration degree at Brighton enjoys a reputation for producing artists who are confident in using their own creative voice and who work in an extremely diverse range of styles. This course celebrates both the traditional and the contemporary, exploring what illustration could be, not just what it is. We place an emphasis on experimentation and exploration, and our course team will help you to develop your own visual language. You’ll benefit from dedicated studio space, excellent specialist art and design libraries and our internationally significant Design Archives. Students enjoy a programme of studio and gallery visits and optional study trip destinations have included New York, San Francisco, Berlin and Amsterdam. There are opportunities to exhibit throughout the course, culminating in the popular graduate show. You will work closely with students from our Graphic Design BA(Hons), and both courses foster an understanding of visual communication, intellectually and practically. Brighton is a vibrant city, packed with galleries and home to many creative and digital companies. It also hosts England’s leading arts festival and an annual digital media festival. Contributors to the course are legendary and include Raymond Briggs, Quentin Blake, Emily Gravett, John Vernon Lord, George Hardie and Jasper Goodall. You’ll benefit from dedicated studio space, small year groups and close links between Illustration and Graphic Design disciplines, giving you the best platform for sharing knowledge and personal development. You’ll be taught by accomplished illustrators; they create a stimulating learning environment while keeping up ambitious research, professional practice and participating in major exhibitions. We are one of the few places in the country where you can study Illustration and receive tuition in dedicated workshops for both letterpress and book arts. You’ll also have access to one of the country’s best-stocked specialist art and design libraries and our internationally significant Design Archives. Students on recent optional study trips have visited New York, San Francisco, Berlin and Amsterdam and enjoyed a full programme of studio and gallery visits. We’ll help you develop as an illustrator and make the kind of contacts to launch your career. 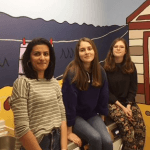 2018 graduate Jade Delmage discusses her experience of studying Illustration at Brighton. Year 1 introduces you to the basic concepts of visual communication in illustration. Through a series of studio-based projects and workshops in observational and life drawing, photography and book arts, you will begin to develop your own visual language. This module provides an introduction to the key concepts and practices of visual communication. It's a dynamic and mobile subject that has been fundamental in shaping modern global culture and continues to profoundly influence the way we perceive, understand and navigate the world. You will be introduced to the history, practices and techniques that inform visual communication, exploring experimentation, creativity and design approaches you will be asked to critically reflect on your practice through guided and independent study. Visual communication is a diverse and constantly reformulating practice that uses a wide range of technical processes to engage with audiences. This module introduces you to a range of working methods, practices and techniques. You will explore a range of technical skills and you will be encouraged to investigate new approaches, combine existing techniques and explore traditional methods to develop innovative outputs. In this module you will examine, define and apply concepts, practices and debates that inform visual communication. You will explore the theoretical concepts and contemporary and historical approaches that have been used to communicate messages and meaning and apply these into practice by experimenting with media, contexts, techniques and processes. Through focused analysis you will critically reflect on the ongoing debate and reformulation of visual communication as a subject area. In this module you will explore visual communication and your relationship to it by constructing a self-directed project. Visual communication encourages diverse approaches to professional practice and the development of a personal visual language. As you begin to identify and locate your practice within a framework of critical debate and ethical considerations you will have the opportunity to experiment with concepts, define approaches and critically reflect on them with an analysis of contemporary practice. Year 2 introduces the key concepts of sequential communication with a focus on self-initiated, collaborative, experimental and independent ways of working. You will also begin to explore the creative industries via a personal and professional development programme. In years 2 and 3 you will also attend a weekly professional practice lecture by guest speakers working within the industry. In spring 2015, second-year students had the chance to rework vintage Ladybird book art to support the Ladybird by Design exhibition at the De La Warr Pavilion. May Kindred-Boothby (work pictured), Jess Underwood, Alison Friel, Tom Harding and Juliet Klottrup were each given a classic Ladybird book and asked to respond to it in the form of a drawing, collage, animation or film. In year 3 you build upon the creative and analytical abilities you have developed. Teaching encourages greater personal development as you move towards a more self-directed programme of study. You will work on set and self-initiated projects, prestigious competition briefs and live industry projects, while establishing professional practice links. Roderick Mills is an award-winning illustrator and film-maker. He has worked across most areas of illustration including editorial, publishing, corporate literature, web design, advertising, exhibition design and animation. In 2011, Roderick joined the Board of Directors of the Association of Illustrators and became Deputy Chairman. "I really loved being part of this course. The tutors and staff are now a part of my little “illustration family” and I couldn’t be more grateful for all of their support. They have been serious and tough but extremely motivating. "Looking back, I see that it was so important to have the two first years to really explore and experiment with different processes and be playful in my work. I learnt how to work with other artists and had the time and opportunity to make mistakes and figure out what I do and don’t like in the practice. It was so helpful to have experienced that before entering my third year and really developing my own visual language and analysing my own work and subjects. "One of the most important things that I learned during my time at Brighton was to be true to myself as an artist and to value my own opinions and interests." "The course has a very well-designed crescendo over the three years. First year feels a bit like a continuation of a foundation diploma. Second year is all about experimentation and trying things you wouldn’t usually do. And third year is a big step up, getting you in gear for professional illustration or creative work after graduation. "Aside from maturing into a proper illustrator, making lots of friends and having loads of fun, I have learnt to respond to art and illustration in a much more considered way. "One of the things you learn as you progress as a visual communicator is that your work doesn’t have to be qualified by a high level of skill or craftsmanship for it to be good. For your work to be successful it needs to communicate well. A drawing can have taken many days to make and be a beautiful object, but if its purpose was to communicate something and it fails then it is unsuccessful. When making any decisions with my work, I always consider the Who? What? When? Where? then I ask myself whether someone who has no idea about the context of the work would be able to understand it." 2018 graduate Sara Lavelle talks about her experiences of the course as well as her exchange with Minneapolis College of Art and Design and how this influenced her work. First year illustration and graphic design students will be exhibiting their work in central Brighton this month. 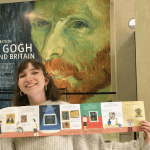 Final year student Lucia Vinti was commissioned to illustrate the families guide for the current Van Gogh and Britain exhibition at Tate Britain. 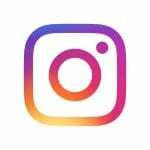 Run by our students, technicians and staff, this Instagram account shows you what it’s like to study visual communication at Brighton. Our graduates are working across the diverse range of disciplines within the contemporary creative industries. You may choose to work as a freelance practitioner employed by the newspaper and magazine publishing industries, design consultancies and advertising agencies, as well as establish your own portfolio of work as an exhibiting artist, working as an individual or as part of a studio collective. Other associated fields include marketing, public relations and design management. Many graduates seek opportunities for postgraduate studies on completion of the course. As part of our week-long employability event Future Selves, graduate Dan Woodger talked about his time at Brighton and his career since he left working for clients including Google, Pepsi, The New York Times, GQ, The Washington Post. Work from Livestock by graduate Hannah Berry, award-winning graphic novelist, and the UK's third comics laureate. Pre-selection portfolio – online portfolio of 15–20 images. We are looking for evidence of ideas in any format (sketchbooks, layout books etc), backed up by a broad range of skills showing how you generate and develop ideas, and that you are passionate and inquisitive about the subject. Drawing is essential in all its forms. Narrative, storytelling – these should also be key components in your work. Key words to think about are: invention, imagination, expression, exploration. We are not looking for highly finished work. The portfolio, ideally in chronological order, should show a broad range of work both successful and unsuccessful. Follow the blog for student work in the studios, graduate successes and upcoming events.